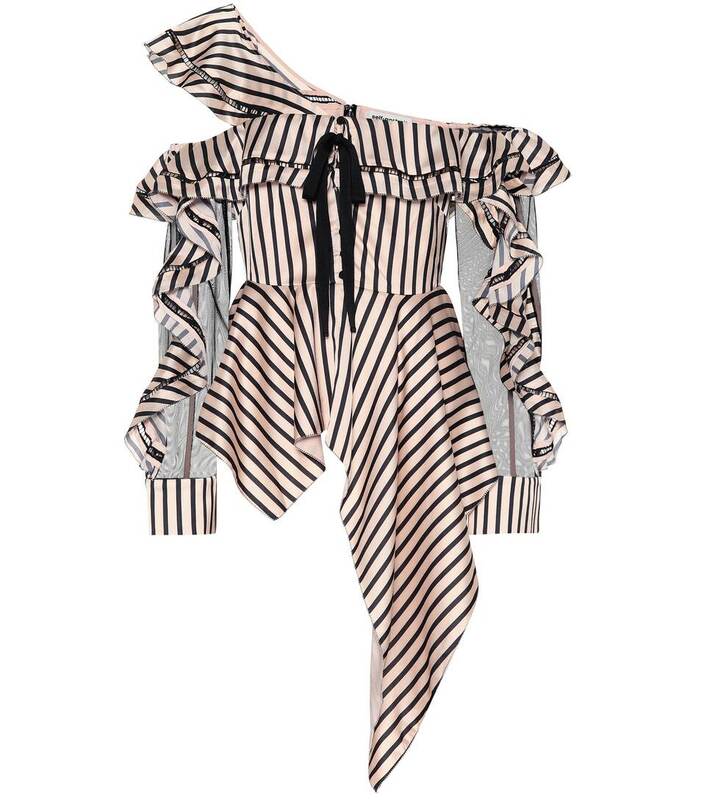 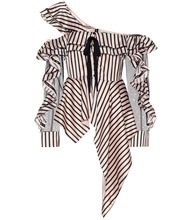 Self-Portrait sculpts a statement-making silhouette with this black and beige striped top. 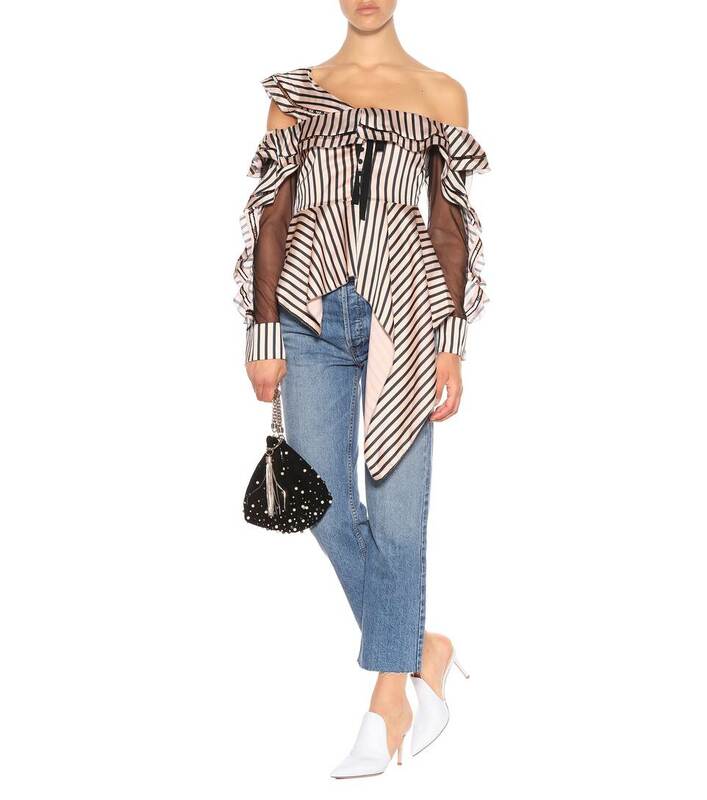 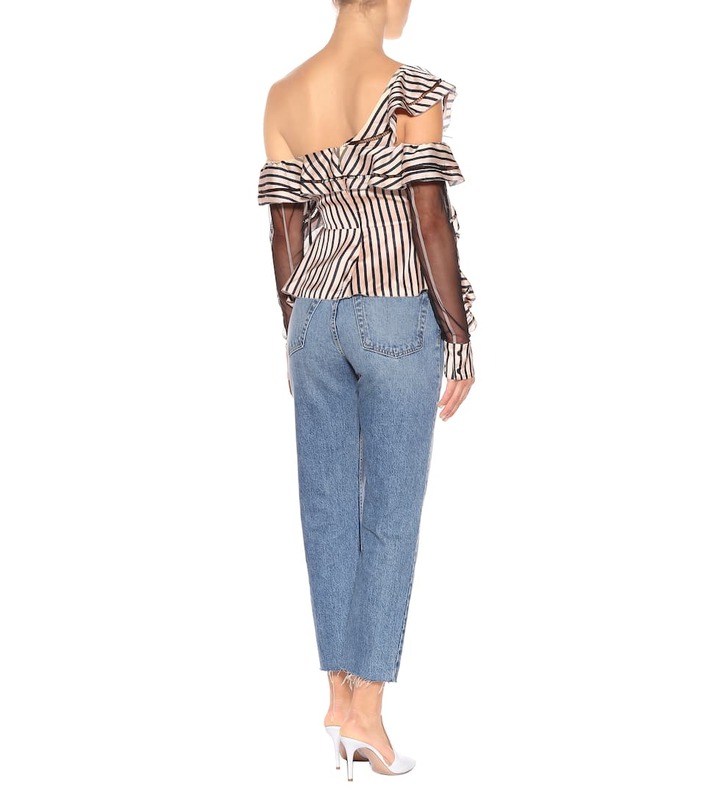 Ruffles cascade along its asymmetric off-the-shoulder neckline and its sheer sleeves, while its peplum drapes into a handkerchief hem. 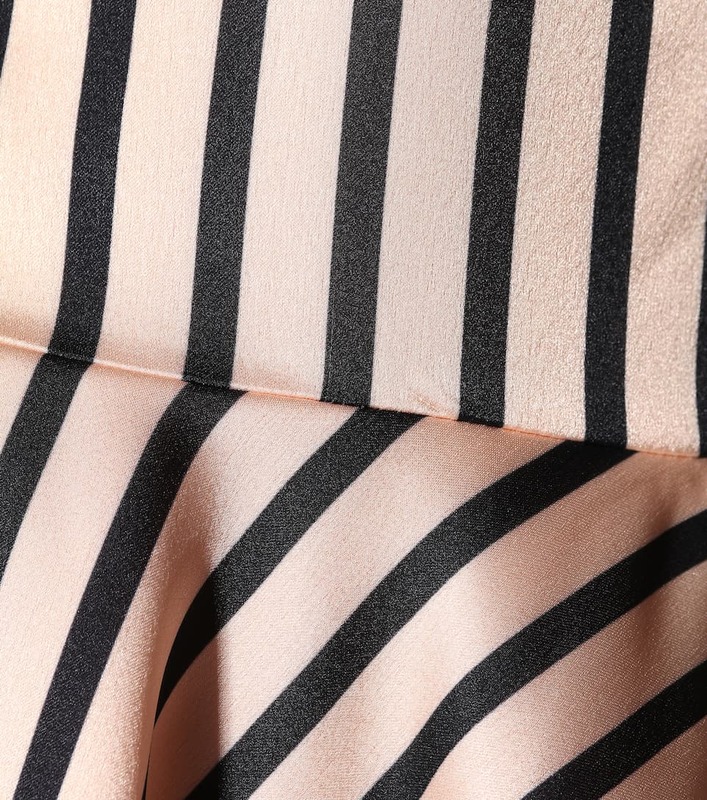 Balanced by a slim-fitting body, it's a bold and flattering game-changer for pencil skirts and skinny pants.